During the “Holiday Season” that runs from Thanksgiving through New Year’s Day in the United States people just expect to be stressed. There are all sorts of extra tasks that need to occur during that time that we don’t have to do the rest of the year. Among them are decorating, baking, shopping, wrapping presents, shipping presents, keeping secrets, hosting parties, being around loved ones that aren’t always so lovable. It is all supposed to be joyous and fun, but it takes a toll on our bodies and spirits. It is also the time of year that those who have lost loved ones feel the loss the most. They see something in the store that reminds them of that person and are afraid they are going to burst into tears in public. What they don’t realize is that most of the people around them would understand, rather than criticize. Our problem isn’t that there is so much stress this time of year; it is that stress isn’t confined to this time of year. In the United States it is almost a badge of honor to have a stressful job. If you aren’t stressed out at the end of each day you weren’t giving enough to your job. I have always wondered ‘enough of what?’ Enough time, energy, thought, worry, perfectionism? None of us are exactly sure of just what it is we are supposed to be giving, so we give it all. Then we find ourselves wiped out, drained, picking up bad habits, dropping good habits, overweight. Is it worth it? What can we do about it? Stress has been described as “chronic fight or flight syndrome”. The fight or flight response is the body’s way of protecting us from danger. During the hunter/gatherer stage of human existence you could be walking along minding your own business and suddenly you are in mortal danger. The body responded with a rush of adrenaline and cortisol. It gave you the energy to get out of the way of the danger. You can fast forward in your mind to a city street. You are walking along and hear footsteps behind you. Your body responds with an increased heart rate, increased breathing. The person behind you walks past and your heart rate returns to normal, your breathing slows, and you secretly grin at yourself for being so nervous. The problem is those hormones that were released stay in your blood stream. They are not gentle to your body while they are there. Another problem is when you walk down that same street the next time your body is anticipating those footsteps. It starts releasing those hormones early, just in case. What if the fear is that your boss will yell at you? Your body begins preparing on its way to work every day. Pretty soon the adrenal glands that make those hormones are overworked. When a real emergency comes along they have nothing more to give. A person who is dealing with constant stress would describe themselves as agitated and tired at the same time. They are agitated because they have the stress hormones already floating around in their systems. They tired because they have already worn themselves out before they even got started. This causes their immune system to suffer. Then they catch every little illness that comes along. Then they start worrying about the financial impact of running out of sick time at work. You can see that once stress gets hold of you it can have a spiraling effect. So what can we do about it? Look at the big picture. Sometimes this is easier said than done. Many a grandmother has asked what will this issue matter in a hundred years. If it won’t have any impact then, then it is not supposed to have an impact on you now. In some cases this works, in others it doesn’t. Another question to ask is what I can do about it. If you can’t do anything about it (like traffic) you aren’t supposed to worry about it. Only stress over the things you can change. If you will be late to a meeting because of unexpected traffic then you need to shrug your shoulders and relax, people will understand. If you are late because you lost track of time and were doing something that could have waited, that is another story. Do some exercise. Exercise or physical exertion is one of the ways our bodies were designed to get rid of the stress hormones. They are there to do a job, so give them a job to do. Many times when we have been stressing our bodies mentally we don’t feel like stressing them physically, but that is just what we need to do. Find something active you enjoy, and make time every day to do it. Feed your body what it needs. This is where the Enriching Gifts product line can be helpful. We all know our bodies need certain nutrients to stay strong. We also know that our modern food supply doesn’t always meet those needs. Complete Vitamins Plus contains the Vitamin C and the B vitamins that doctors have identified as being needed in times of stress. Vitamin B12 is also needed for extra energy when you are worn out. Essential Source B12 Strips can be a quick pick me up when it is needed. Metabolic Complete contains the anti-oxidants needed to help clean those stress hormones out of your system. Stress puts stress on your immune system as well. Plant Enzymes takes some of that stress away by allowing your immune system to function as it was intended, instead of being a secondary digestive system. Anyone who is not getting enough enzymes in their diet is putting extra stress on their immune systems. If your immune system is already week you need Sterol Max. Plant sterols have been proven to boost the immune system. Sterol Max has been processed in a unique way to enhance that capability. There are a lot of herbs and teas recommended, any health food store will have a relaxation section of teas. Kava Kava, chamomile, ginseng, lavender, St. Johns Wort, and valerian root are all well known remedies. Some can be used as teas, or aromatherapy. There are times I put a hanky with lavender inside my pillowcase for a calming effect. 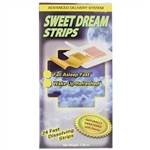 Another way to calm yourself so you can sleep is Essential Source Sweet Dreams Strips. These are not sedative, but more relaxing, to allow yourself to calm down and go to sleep. I have even used them when I have had more caffeine than I should have during the day. They work wonders, and I never feel drugged or wiped out the next day. Because the thyroid is one of the glands that produce these stress organs many of us are walking around with tired thyroid glands. They aren’t sick enough for the medical tests to say we need help, but we are walking around with way too many of the symptoms of low thyroid to be comfortable. If this sounds like you then Thyactin may help. It is a homeopathic remedy that supplies the extra iodine your thyroid might be craving. I know it has worked wonders for me. The bottom line is that we can’t always avoid stress. We can do things to combat it. Find ways to relax. Find ways to exercise. Do everything you can to keep your body strong and healthy. You can’t avoid all stress. What you can do is recognize it, and the harm it is doing to your body. Then take steps to repair that harm. Nature’s Medicines by Gale Maleskey and the Editors of Prevention Health Books, copyright 1999 by Rodale Inc. The Good Herb by Judith Benn Hurley, copyright 1995 by Judith Benn Hurley. Blended Medicine Combining Mainstream and Alternative Therapies by Michael Castleman copyrighted 2000 by Michael Castleman. Smart Choices in Alternative Medicine by Samuel Benjamin, M.D. copyrighted 1999 by Meredith Corporation. Vitamin B12 Complex. The best B12 supplement is now improved. Nascent Iodine - 1oz (2% Strength) All natural sleep aid with Melatonin.